Some days it seems inevitable that I am going to build the Mk. II version of Firefly. If I think about it long enough, all the escape hatches will seal themselves off and I’ll end up committed to it by default. It is especially important not to give this “Mk. II” creature a name. Names presage ideas; and as I learned in, Where The Rivers Run North, “An idea is a dangerous thing”. If I am to avoid another Grand Obsession, I must shun names and ideas at all costs. We’ll see how well that goes ………. ………… Assuming just for a moment that I can overcome the aforementioned phobia, and do manage to jump back into the Hell’s cauldron of making another catapult, the thrust of such a project would be to produce a machine that is substantially more powerful than Firefly, yet also has her gilt edged accuracy, all in a smaller more Orsovian package. The point I am trying to make is, given that Firefly has put 16 consecutive shots through a single ragged hole at 50 meters, nothing I could build could ever best the shooting precision of Firefly at 50 meters, if for no other reason than when a bolt with three inch wide fins, keeps repeatedly going through a 4″ diameter hole in the target, there really is no meaningful way to measure the group size any more. At that stage, for a large bolt shooting machine, the precision is quite literally “off the charts”. No brag. Just fact. So, if another machine does rise up from the ashes of the Orsova destruction layer, it will only really be able to best Firefly in two areas: (1) improved metallurgy in the kamerion and field frames will allow higher draw weights which yield more projectile energy and an even flatter trajectory, and (2) by providing a deeper look into all matters related to historical authenticity. 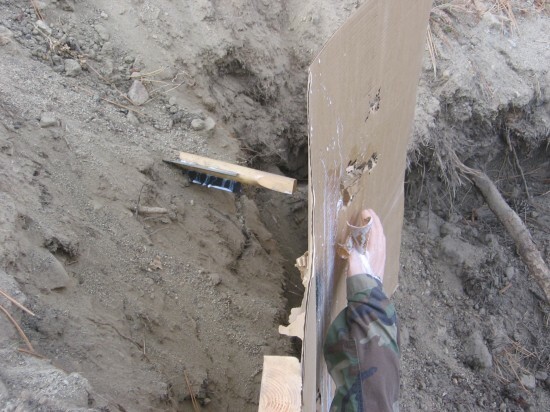 On this latter point, although I was scrupulous in replicating the exact diameter of the spring holes and all of the other dimensions of the Orsova artifacts for Firefly, there are still some open questions as to how exactly the Romans utilized the holes evident in the forks on the kamerion. Reducing the overall length of the machine by over two feet also seems possible now that we have eschewed the longer draw lengths. Would advances in these areas be worth the effort of a second Orsova reconstruction? I don’t know yet. The ruminations continue. Of course, if I don’t, gone will be all those moments of sordid contemplation ….. The rollery thing bears more thought. 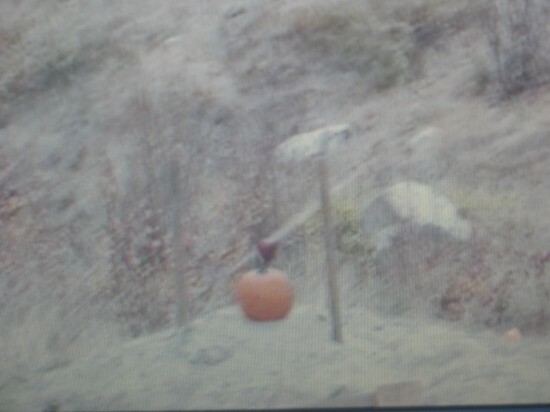 Picking up our shooting from yesterday, we were attempting to explode an apple sitting on top of a pumpkin, using the standing, offhand position. Our very nice neighbor lady witnessed our first attempt today, which, while not a technical miss, did not result in any apple juice per se. It did, however, make her smile. Here is the shot witnessed by Angela Lorz. Today is October 27, 2011. Range is 50 yards. This crease mark was not on the apple when I put it on top of the pumpkin for a target. Clearly, one of the hard fins just skimmed its surface. 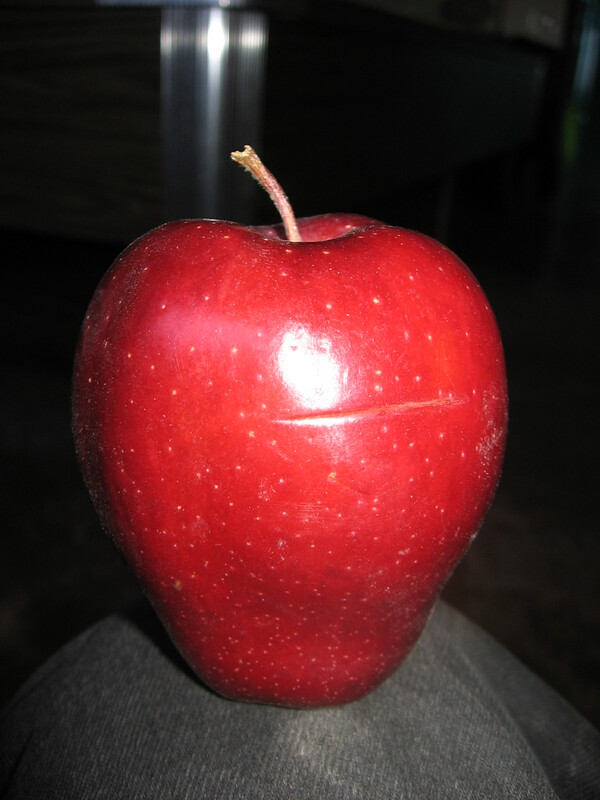 While yesterday’s shot was too far to the right of the apple by a couple of inches, this one was to the left by an inch and a half. Now it is down to exactly where I place the hold of my front sight. The poor little apple seems clueless that there is a predatory length of broom handle bearing down on it from the upper right. And splash goes Frazier. The rest of the day went well — more apples, more splashes. Believe it or not, it gets kind of boring after awhile. The mystery of the power loss seems to be solved. Several more shots quickly revealed that the bolts were not only dropping an extra foot, but they had also started to strike to the right by maybe a foot or so. A sudden lateral divergence in the strike of a two armed torsion catapult is nearly always the result of one of the bundles suddenly depowering. In this case the starboard bundle needed another 7 1/2 degrees of rotation induced into both its top and bottom washers to restore the balance. It seems that things are going along crackingly fine, and then, out of the blue, some fatigue point in the spring is suddenly reached, which causes some of the fibers to take a permanent set, and thus lose some of the preload. I have seen this pattern before, and recognize that rather than heralding a catastrophic failure of the spring as a whole, that it is in fact, one of several cycles of laxation and tightening that push the spring towards a state of equilibrium, relative to its chore. It is all just part of the tuning process. What is tight must loosen, and what is loose must tighten. In the photo below I have numbered the last four shots since our work from the other day. 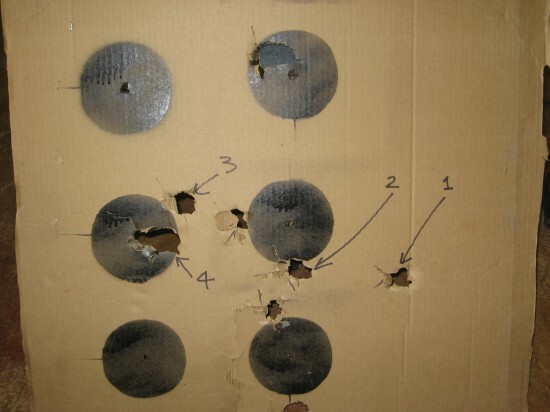 The point of aim in all four shots is the middle bulls eye in the left hand column. In shots one and two, the weakened starboard bundle is allowing the tighter port bundle to kick the bolt out of the machine in a rightward direction. They are also grouping pretty poorly. Shots numbers three and four were made after inducing 7 1/2 degrees of rotation into the top and bottom washers, starboard side. This is the minimum amount the hole pattern in our washers and vernier plates will allow. The fact that this adjustment has created the start of a group (3 & 4), and moved that group a good foot to the left of the previous impact points (1 & 2), is an indication of the effect that 7 1/2 degrees of washer rotation can have on the lateral dispersion of the shots. I wouldn’t want any less than 7 1/2 degrees of rotational discrimination in attempting to balance one of these machines. I suspect the ancients would have been similarly inclined. While William and Son would have been underwhelmed by missing the apple like this, I am thrilled to see the machine responding with such sensitivity to these tuning adjustments. 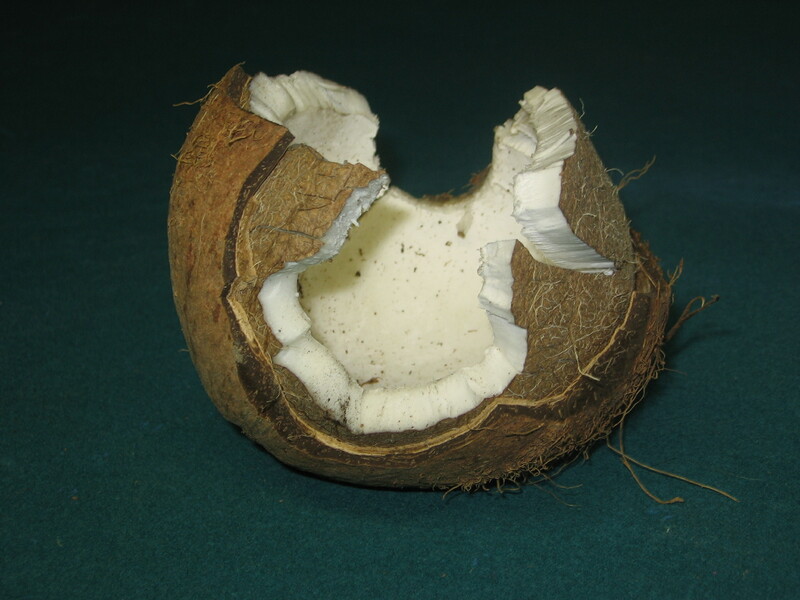 When they hear the clicks, the coconuts get very nervous. Clearly, I need a vacation. The point is, lock time on Firefly feels like shooting a flintlock with a slightly delayed ignition. i.e. ssh!..ssh!..ssh!..Boom! !, rather than, ssh!..Boom!. It is maybe one tenth of a second or more. In off hand shooting, this delay is like a minor pilgrimage, through out which it is deeply disadvantageous to flinch. One’s own tremor is invariably fatal for the aim, if not the target. Follow through is everything. 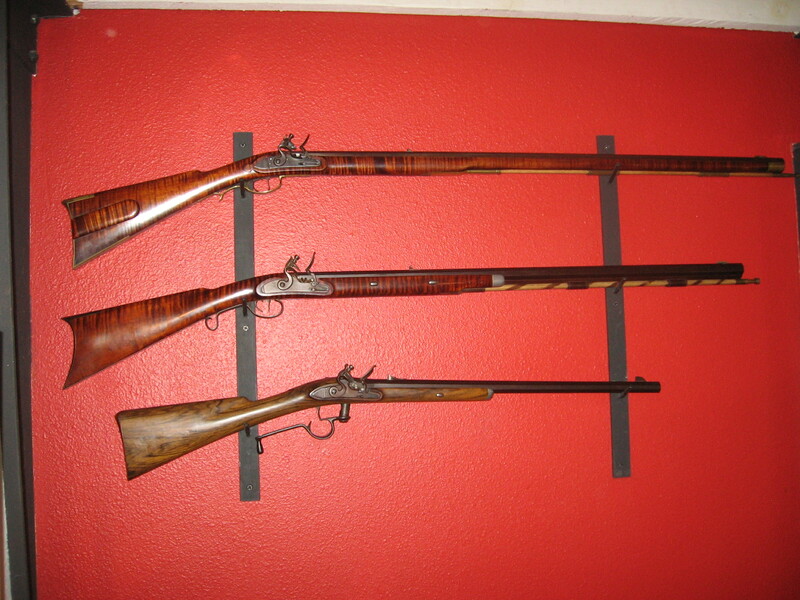 Some of my favorite flintlock shooters that I made back in the nineties. 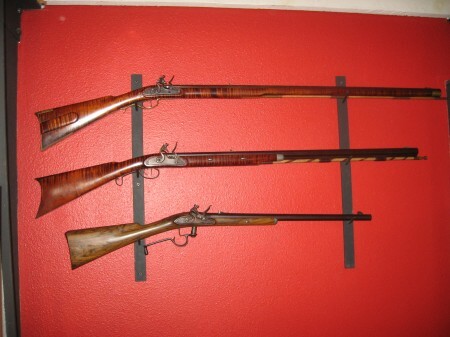 The bottom carbine is my version of the famous Ferguson, breech loading rifle. 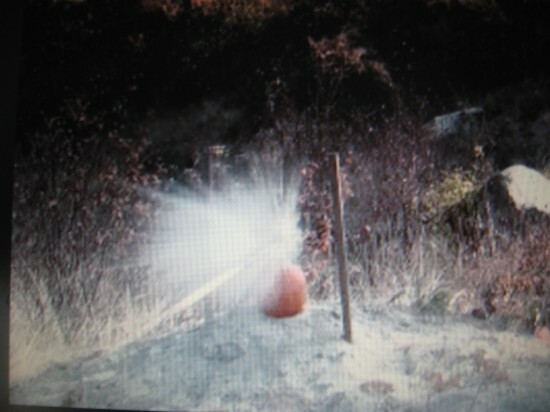 The action on it is seen in the open position. Offhand trials. Look Ma! No rest! The next four shots are my first attempt at shooting Firefly from the off hand position. In rifle shooting this would be standing offhand position (i.e. standing and no rest). The prop has been kicked away and I am bearing twenty lbs. of tongue weight on my right shoulder. As far as the shooting goes, this does not feel like a sloppy position at all. By bending the knees it is easy to perform rapid and accurate elevation shifts. Transversing the target is as simple as a side step or shuffle. Gross aiming adjustments of twenty degrees or more feel kind of like a dance move. Note the firing chain in the right hand. A slow and consistent roll of the wrist, while it is braced on the winch bar, can accomplish a credible “trigger pull”. Anyway, enough blather. Let’s check my first attempts at freehand shooting an ancient Roman ballista. I am using a six o’clock hold and working from the bottom circle up to the top circle. With this hold and the current sight setting there was a strong expectation that the bolt would strike at the top of the circle. Click for vid. of shot #1 20111023133612(1). Sight and target alignment looked good at the moment of release. No flinch or blink from the biologic. However, the trigger does require a more sensitive touch for freehand shooting. In the past, the prop made it is easy to keep on target. Of course, the prop would be useless for any kind of fluid situation calling for rapid elevation and windage adjustments. That is why the bulls-eyes on the other side that I am shooting at, are strung out vertically. It will test the ease of elevation change. It’s the knees grasshopper. It’s all in the knees. In the beginning there was a nuisance. Shortly after the beginning, someone invented a solution to the nuisance. It was the nature of this solution that it should create a new nuisance. This in turn was solved, creating yet another new nuisance. Solution and nuisance danced the dance of creation, and so was born what has come to be known as civilization. Nuisance and solution are an off kilter point of balance with propulsive tendencies. Revelations from the caveman: The touch screen on my video cam could have an infinite number of control nodes associated with it. My manual camera has, maybe, twenty seven — much more than this and there would be no place to put my fat fingers. This is heavy. Very heavy. The crackle of an ember. 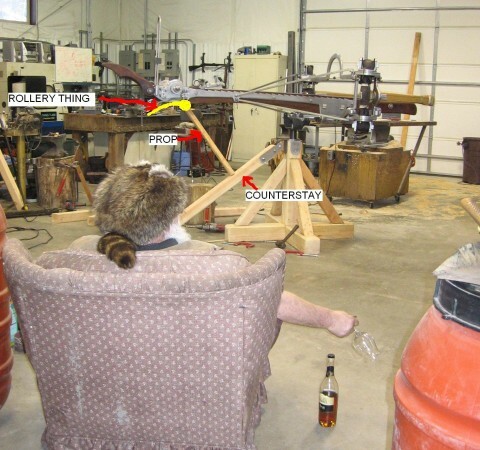 I suspect that any readers of this blog with pacifist tendencies are starting to wonder what socially redeeming feature there might be in studying the terminal ballistics of catapult bolts. In as much as catapults were the first truly big step that Human Beings took on the road to mechanizing the implements of death from a distance, I will readily admit, there is an inhuman quality to this kind of precision. 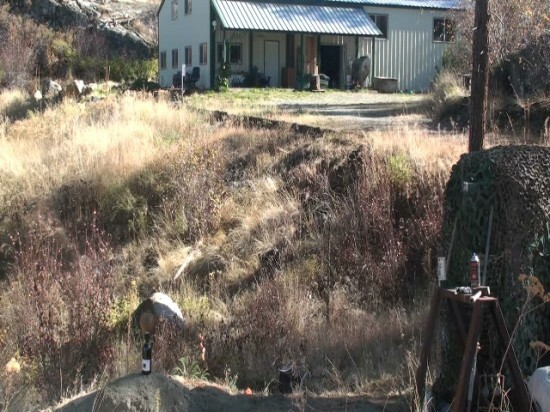 With a stand mounted ballista, the number of things a shooter can do to flub a shot, is drastically reduced from any other form of archery that I can think of. It is, in fact, hard to miss. The road from catapults to the eerie exactness of modern day guided missiles is not to be underestimated by anyone wanting to understand the fix we have gotten ourselves into with our species wide arms race. The hard truth is that weapons, once invented, cannot be uninvented. 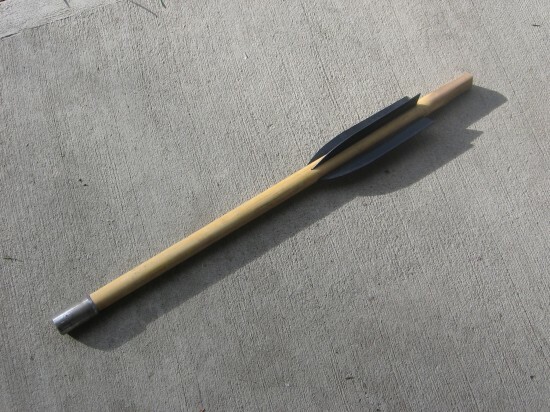 For those of us that have succumbed to the allure of recreating the dark precision of these historical devices, please try and understand there is a mountain of genetic precedent fueling our interest. The hiss of a finned projectile is as rooted in our race memory as the crackle of an ember. The harm comes from disrespecting the ease with which mechanization can make it possible to kill without repercussion. For us all, understanding this continuum is essential if we are to control it. Click for Vid. 20111022124922(2) . 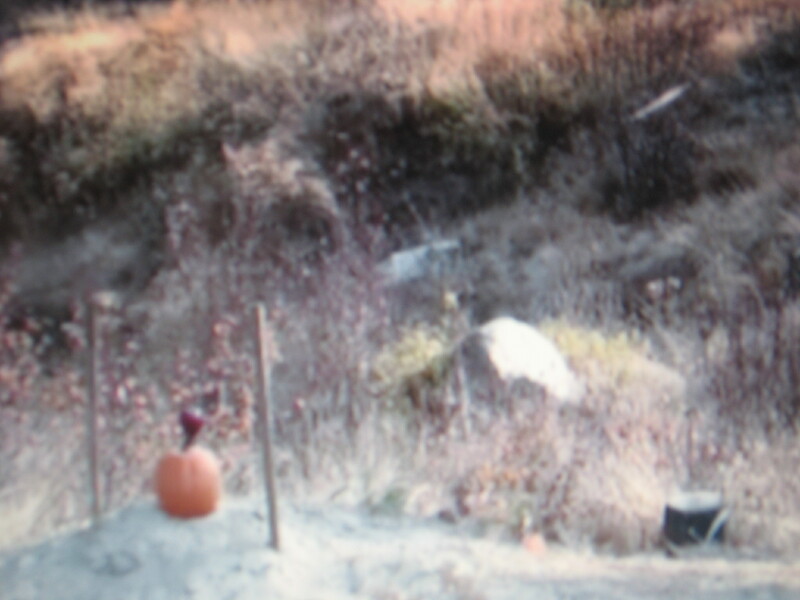 Range 50 yards. 6,693 grain bolt. Velocity approx. 260 fps. Energy 1,000 foot pounds. 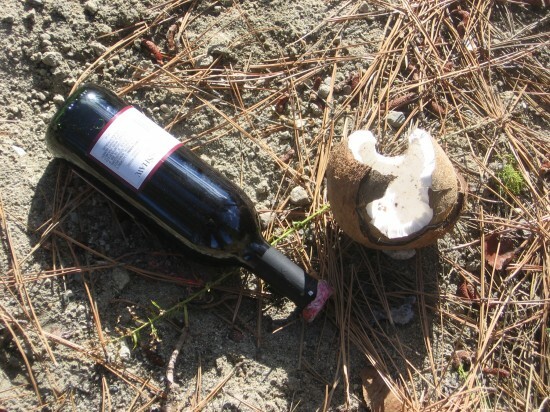 It would have been such a drag if I had nailed the bottle, glass all through my nice clean sandpit. It’s too bad that we can’t see Firefly inside the shop during this video. At the moment I have no way of moving her beyond the limits of the overhead crane. All in good time. How fortunate that I do not have to explain to the Rebecca the disappearance of her penultimate bottle of wine. In the photo below, I was able to put Windows Media Player on slow speed and take a screen capture of the moment directly after the bolt had zipped through the coconut, without even knocking it off the bottle yet. Cool huh? And for the forensically inclined, we have this. And just because it is always a good idea to completely tear the arse out of it, we see below some details on the bolt as it delivers the groceries. I had it in mind to try that ice cream shot over again. Here is the new bolt style I will be using. I have tried one sighting shot with this 6, 693 grain bolt. It hit about 5″ above the place the previous bolt had been grouping. Perhaps the larger fin is providing more lift and it changes the trajectory a tisk. 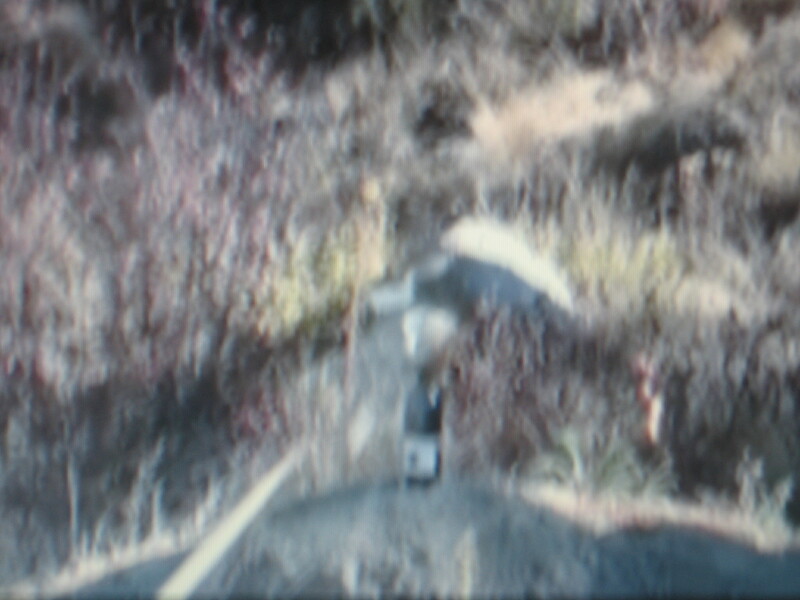 In the following video, the sighting shot I’m talking about is the hole that is highest on the cardboard witness board. I simply readjusted the sights to line up with this hole before attempting our little stunt again. Click for vid. 20111021143100(1) . My evident pleasure in this event is multiplied by the fact that this kind of accuracy is becoming entirely predictable. Tomorrow I will try and get some footage looking back up the range as the bolt comes screaming down it and hitting something like an apple. That, and the witness board, should form some measure of proof that I am not in any way exaggerating Firefly’s accuracy over this fifty five yard (50 meter) range. There are no velocity readings for this shot because I did not want to be limited by the 30 second transmit time on our Doppler chronograph. It helps to have the lights off in the shop to get good contrast through the peep sights. 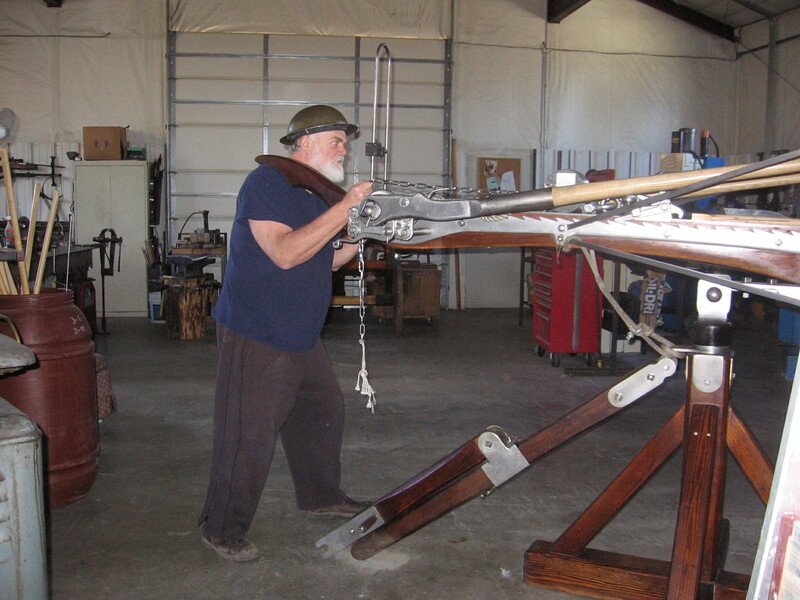 It is also very important to roll the back of the hand against the winch bar while making the trigger pull. This technique yields such sweet and clean releases that I see no need for a remote trigger lever of some kind, as I had been planning. For the time being (maybe indefinitely), performance oriented modifications to Firefly will be halted. She is, I believe, finished.